My family started a new tradition were we all try to get matching pajamas to wear on Christmas eve and/or day. Although we just started this new tradition, it's been fun shopping for PJs and it's so fun to match with my sisters! Can we take a moment to appreciate this 3 year old polaroid!!! Look at how young we are/look! 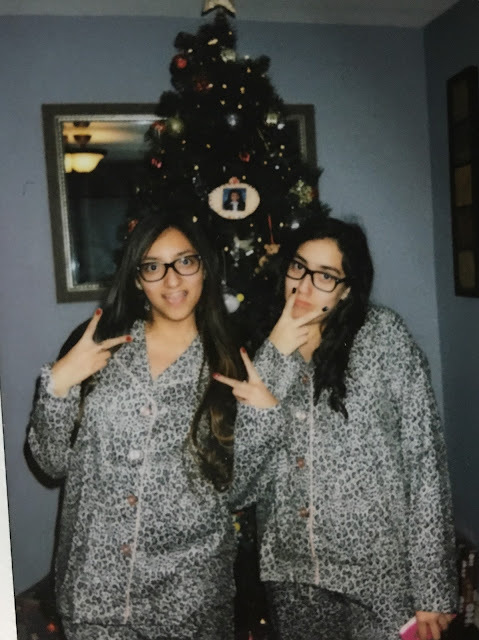 Matching or not, Christmas pajamas are the BEST!